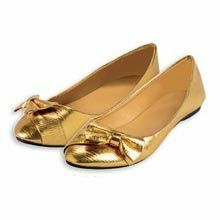 Put your best foot forward with these gilded beauties. 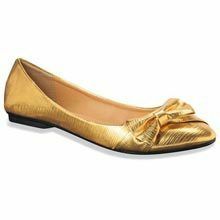 Comfy, slip-on golden loafers of faux leather feature textured styling with a knot bow accent on top. Non-skid sole. Imported. Hurry! Quantities are limited!